Keep the winter blues away throughout the colder seasons with a personal garden of "microgreens." The long prairie winter is already upon us, and it can chill the hearts of some of us High Plains gardeners. To combat those cold-weather blues, today's edition of Growing on the High Plalins provides a little green for the gray days ahead. 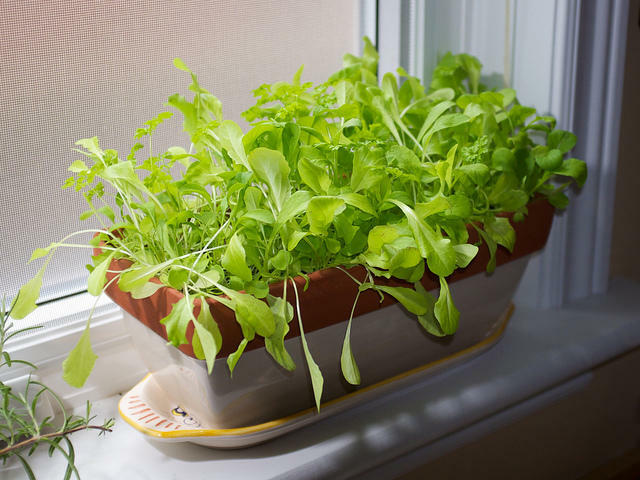 I'll explain how a windowsill of planted microgreens can be a delightful way to keep your green thumb agile. Plus, we'll look into the brief history of this recent phenomenon.